For recently-returned FLEX alumni there is always a lingering question in the back of their minds: What’s next? Most go to universities in their home countries or abroad, while some stay to finish another year of high school. With a new mindset and new set of experiences from their FLEX exchange, FLEX alumni have decided that bringing change to their local communities is the “what’s next”. 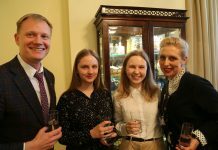 Here are stories of five alumni who are actively developing their hometowns in southern Ukraine. Yehor Shtanko ‘18 (Askaniya-Nova, Ukraine/ Riverton, IL) is from is Askaniya-Nova, a sanctuary of a unique biosphere attractive for tourists and a small town of less than 3,000 people. Even before going on FLEX, Yehor volunteered for his local community by helping the newly formed government of the region to implement projects. 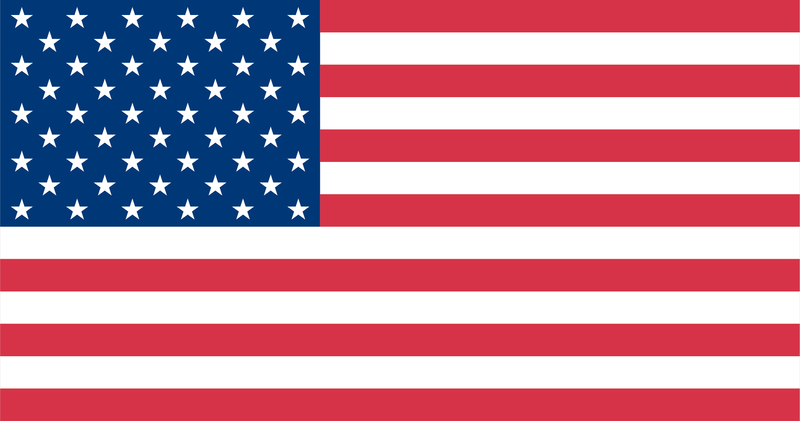 Since returning from the United States, he has launched an English-speaking club for high school students, through which he presents on opportunities such as the FLEX program. In September and October 2018, he gave more than 20 presentations in neighboring towns to tell students about FLEX. Yehor tries to bring American approaches to education into his school and shares experience from his exchange year as often as possible. Bilozerka is a town of 9,000 people in the Kherson region. As the City Representative there, Mykyta Kotsehub ‘18 (Bilozerka, Ukraine/ Visalia, CA) taught middle and high schoolers how to play American games like ultimate frisbee and gave presentations about self-development opportunities. 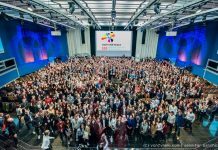 Together with Yehor, Mykyta organized the first-ever Model United Nations competition in Kherson for local university and high school students. It was a great opportunity for all involved to learn more about principles of international cooperation. 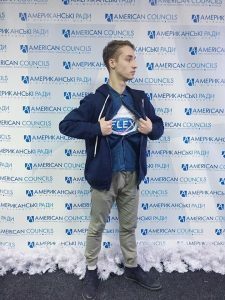 Volodymyr Babenko ‘17 (Izmayil, Ukraine/ Carl Junction, MO) is from a big city, however, he traveled to the more rural neighboring cities near Izmail to give 20 speeches about FLEX to local students. 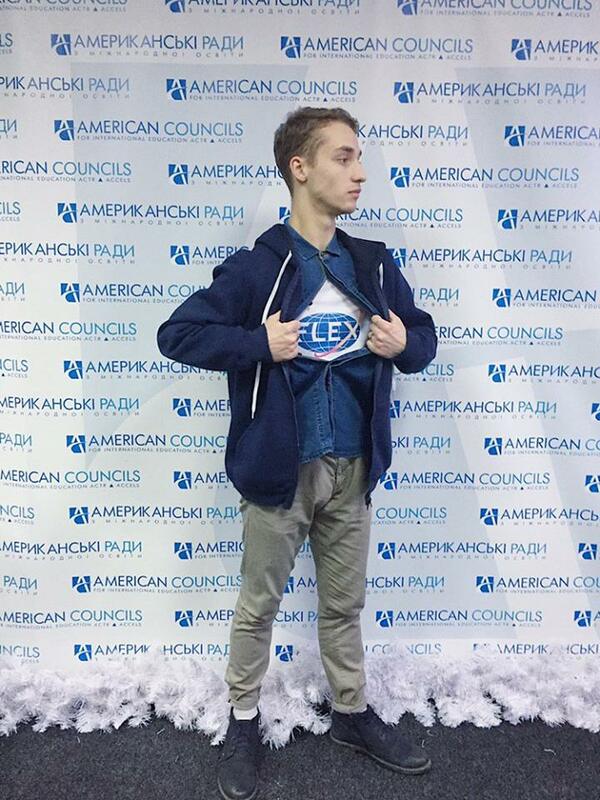 Volodymyr also leads a free-of-cost English-speaking club and tries to involve as many students as possible in volunteering in their community. Currently, he is working with a school in his city to make it eco-friendly by developing a composting hub together with the administration and students. Mariia Mutel ‘18 (Voznesensk, Ukraine/ Port Angeles, WA) lives in a town of 35,000 people. There, she works with a boarding school for students with disabilities, where Mariia leads crafting lessons for the children. 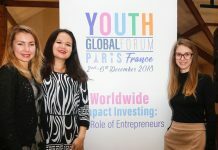 She also leads English speaking clubs for high school students and plans to do a social media campaign to promote recycling. 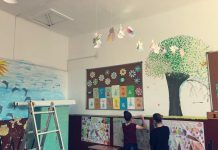 When Viktoriya Tishchenko ‘18 (Svitlovodsk, Ukraine/ Amarillo, TX) returned to her hometown Svitlovodsk, she launched a series of events for her school to teach American English. 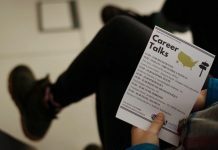 She also used American board games and icebreakers to help children learn ways to spend their spare time in the pursuit of developing their English language skills. Such examples show how truly inspirational and committed FLEX alumni can be. The program has a global influence and alumni are proud to share the values of international learning to communities – large and small. 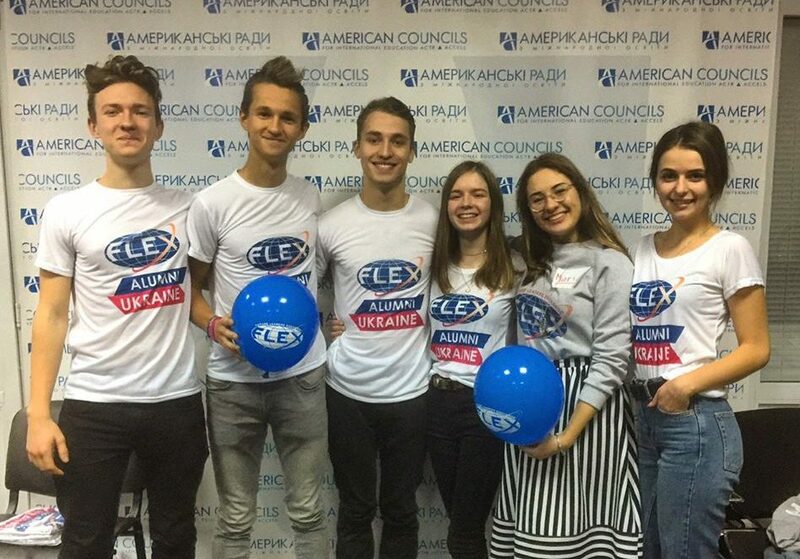 All five of the alumni who lead these events are City Representatives, organizing projects on behalf of the FLEX Alumni Program with the support of Alumni Coordinator for South Ukraine, Mariia Donets ’15 (Odesa, Ukraine/ Clear Lake, IA).